If someone has some spare time, and wants to give a hand in testing new emulation technology, please write to vtm8@torum.com.ar , detailing which PC and/or Windows devices you can use for testing. VTM8 is a quite advanced, and already running, project aimed for Windows 8 devices (desktop, tablet and phone store apps). It basically emulates old PCs, a little similar, but not like Dosbox. It statically generates new C sourcecode that runs natively on the device... so allowing games to run even on VERY small devices. hey check your email ill be more than happy to help in anyway i can. Could you work on adding wifi support? 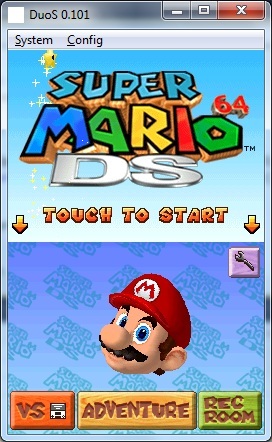 that would make this emulator perfect. even if you cant connect to nintendo wfc it would still be awesome if i could just connect to my lan so i could trade pokemon. 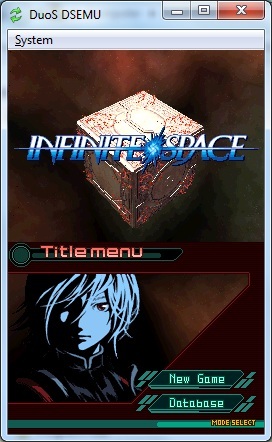 How is the progress on iphone's nds emu? 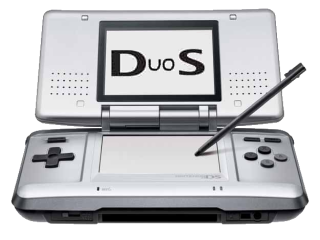 This may be off topic, i am not sure but I responded to your other thread and I was wondering if you still have your ps3 compiled DuoS emulator as I and many others are willing to test it for you as I have a custom firmware ps3 yo run the homebrew. Contact me or just reply i'll check up here when I can. I've found this to be extremely well done. Runs great on my Vista laptop even. Much faster than any other 'highend' emulator. However, is there no help file, in particular, mic support? I've just run into that problem in Spirit Tracks which was running faaairly close to real-time. #Traditional #Testing Approach treats analysis, design, coding, and testing as discrete phases in a software project. When the project starts to run out of time and money, testing is the only phase left. This means good projects are forced to cut #Testing short and #Quality suffers. #Agile #Testing Approach helps to resolve #Traditional testing issues - #Quality improves because testing starts from day one. - Visibility improves because you are 1/2 way through the project when you have built 1/2 the features. - Customers are happy because they can make changes without paying exorbitant costs. Now-a-days Certification as a Software tester is mandatory to get enhance in your career. we need to run with the world to grab the chances. #MindMajix is Providing ISTQB Certification training and also giving 100% assurance for clearing the course in the first attempt itself. Enroll here and attend for FREE DEMO.